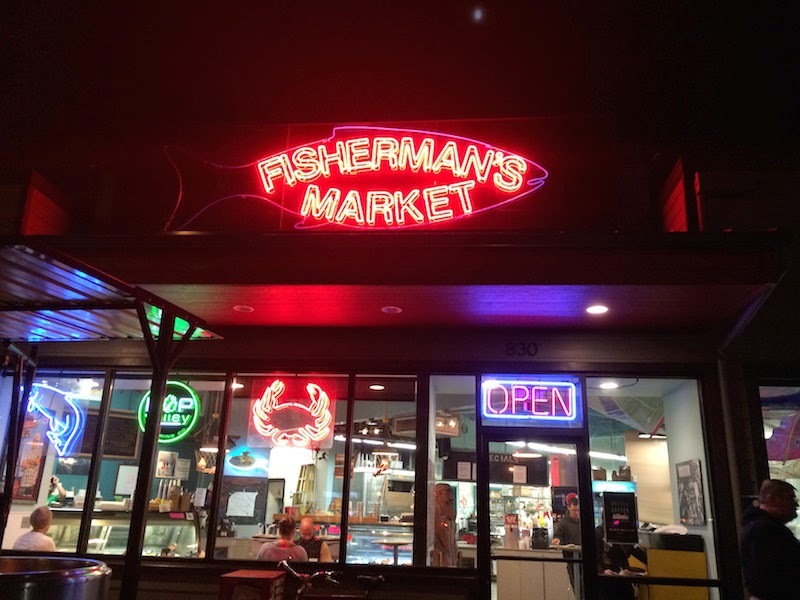 Fisherman's Market is a seafood market and a dine-in restaurant serving fresh fish and tasty fried dishes, as seen on the "Fresh Fish and Funky Chicken" episode s21e12 of Diners, Drive-Ins, and Dives. I arrived in Eugene, Oregon last night (home of the University of Oregon Ducks) and joined a couple of friends for dinner at Fisherman’s Market. It's really easy to find right on the corner of one of the main street highways, and at night their sign is brightly lit. This is a fish market (duh) that also sells food. I didn't buy any of the cleaned & cooked crab or fish by the pound, both of which seemed expensive (but looked good and smelled clean). Their food, however, seems like a bargain in comparison. 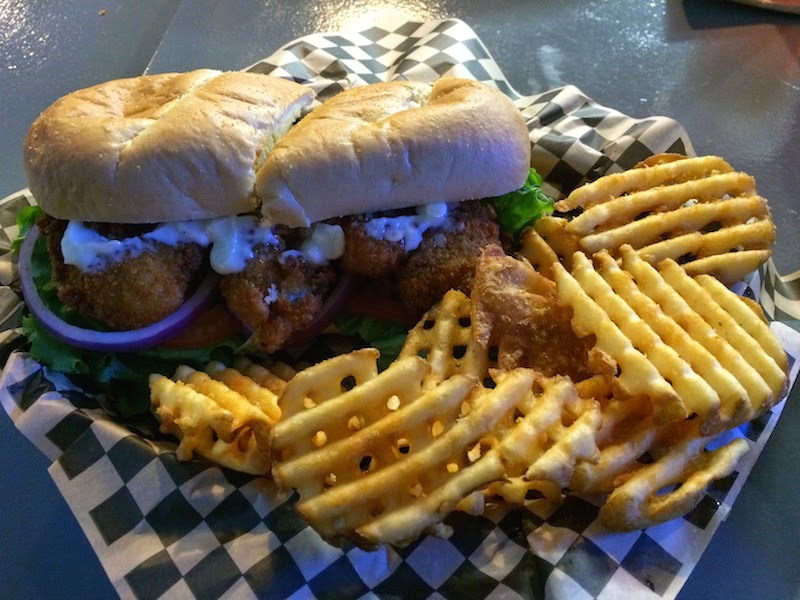 I had the fried oyster po' boy, and it was the best I've ever had. It wasn't greasy, and there were 3 or 4 large oysters in it. The bun was very fresh and a little over-sized. Oyster po' boys I've had at other places were smaller and tended to be greasy. The fried oysters had a lot of flavor and served over lettuce and fresh onions. The oyster po' boy came with waffle fries that were excellent. No grease on them, and very crisp. This place really knows how to fry things up. As a side dish, I got some coleslaw. They offer two types: Honey Mustard and Lime & Cilantro. I got the latter. It was tasty and zingy. My friends tried the fish tacos (served with brown rice and Mexican beans) and blackened salmon which he said was a little over-blackened but otherwise good. There are a lot of kinds of tartar sauce in big pump jars. There's plain tartar sauce, but I tried the Ragin' Cajun (sort of spicy and very good) and the Orient Express (not sure exactly what it was, but it was good). There is enough indoor seating so we could find a seat. It's like eating inside a fish market (again, duh) so don't expect anything fancy. There is also a patio outside. 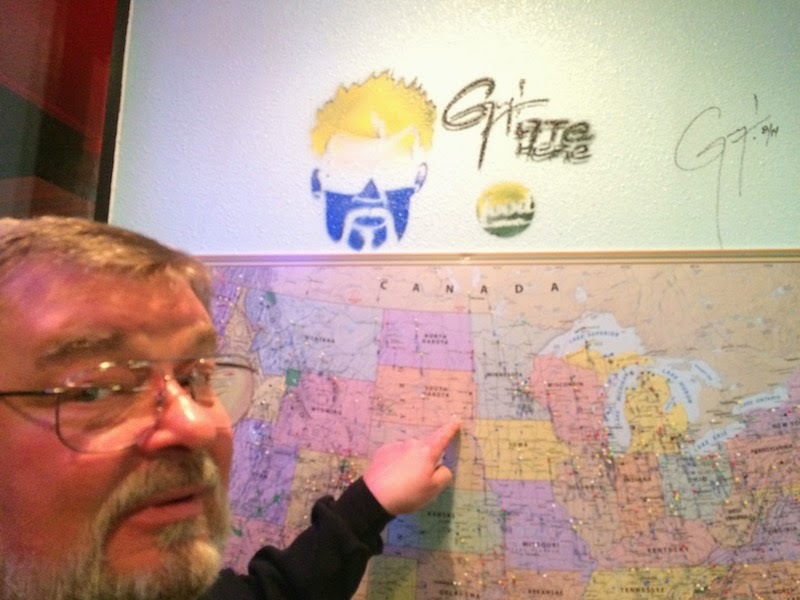 I really liked this place and would like to go back and try some more items off the menu.